Let's start by looking at what standard encoding is and how it works. Each English alphabetical and numerical character A, B, C or 1, 2, 3 and so on has a corresponding ASCII (American Standard Code for Information Interchange) Decimal or Hexadecimal code associated with it. Microsoft Word, Notepad and plain text editors use ASCII to display the desired characters. Looking for an automated batch processing solution for PDF processing? 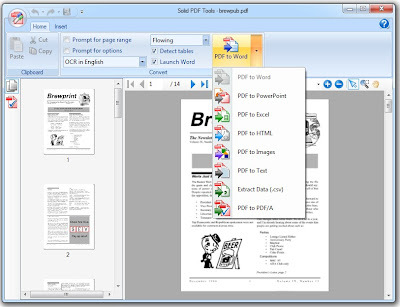 Try Solid Commander - automated PDF to Word conversion, PDF/A validation, PDF to PDF/A conversion, searchable PDF creation and text extraction. Take a video tour and learn more. Question: What is TWAIN and WIA? What does this have to do with Solid Converter v8? Answer: TWAIN and WIA are standards for communicating with imaging devices - scanners, in our case, and software applications. Solid Converter v8 only uses TWAIN as its interface to scanning devices. If you scanner does not support TWAIN you can use the software supplied with your scanner to scan your paper documents. Save the scanned images as tiff and then create a PDF using Create PDF with Solid Converter. 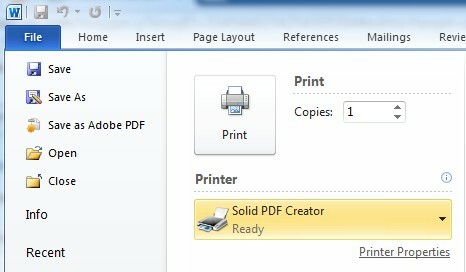 What makes it a PDF? Often people will ask "What is a PDF file?" or "How do you View a PDF File?". These lead to a couple of basic answers. We have had some customers wonder why .docx files display differently in Microsoft Office on OSX versus Office on Windows. Layout in all documents depends upon font metrics. There are vertical and horizontal font metrics. Even if horizontal metrics look the same, the vertical metrics can be so different that the text line with the substituted font takes more or less vertical space than it does for the original font. This affects the layout of the entire document. Mac OSX has its own set of fonts that are not available on Windows. If you have Office installed on OSX then it also adds typical Microsoft Office fonts. The Mac has a super-set of fonts and that means that documents converted on Windows have more chances to be displayed well on Mac than vice versa. Microsoft Word is a word processor. 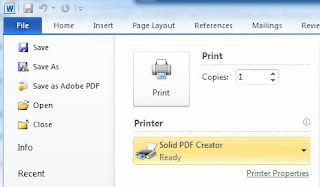 While it has powerful formatting and design functionality it was never written to maintain the original document formatting for printing and viewing on multiple computer platforms. 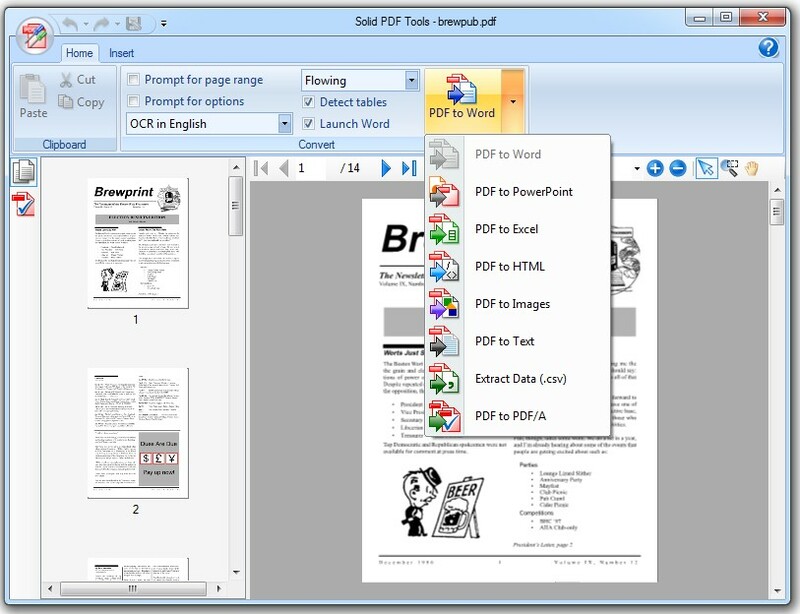 This is the purpose of PDF - Portable Document Format. We just released version 2 of Solid PDF to Word for Mac. We have been hearing from our customers that Norton and Symantec our quarantining parts of our version 8 applications. Why would anti-virus software block applications that do not contain malware or viruses? Symantec and other anti-virus software companies use detection techniques to try and determine if something might harm your computer. Based on certain attributes that they decide, they quarantine or block applications from running if their tools believe your software may cause harm. These detection techniques also make mistakes and can block clean software applications from running. What does this look like for Solid Documents software? We add a toolbar ribbon to Microsoft Word with version 8. This can also get blocked and quarantined by Symantec or other anti-virus checkers. You will see a message that SolidWordAddin.dll has been quarantined. Our software is safe and free of any malware or adware. We use code signing certificates to mark our software from Solid Documents. You can trust the software you download from our website. When you install you will always see our company name when Windows verifies that you trust the provider of the software you are trying to install. Fortunately Symantec has a way to report these false-positive quarantines to get us off their list. We have submitted our software for review to them and they have white-listed our software. Now they have to push out the definitions that include our software to all their users. We will pro-actively continue to ask for Symantec (and Norton) to white-list our releases to try and eliminate these false-positive reports from happening and hindering your use of our software. If you ever have questions regarding our software, please email us at support@soliddocuments.com. If other anti-virus checkers are blocking our software please let us know.